Pictured above (left to right) Ms. Sara (Sales Assistant), Mr. Shibu Abraham (Head of IT & Logistics), Mr. Shane O’Sullivan (Head of Purchasing), Ms. Jean Silveira (HR Manager), Mr. Sujat Ameen (Head of Business Support), Mr. Dominic Carroll (Head of Finance), Ms. Nonalyn Barnett (Passenger - who drew the winning ticket), Mr. Helal Al Saadoon ( BAC - Terminal Operations Manager), Mr. George Moore (BAC – Acting Chief Commercial Officer), Mr. Domnick O’Reilly (Head of Operations), Mr. Saad (Sales Assistant). 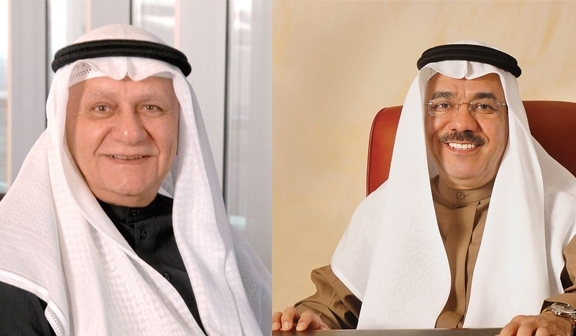 Bahrain Duty Free Complex announced at a meeting of its board of directors on Monday, 7th November 2016 the financial results for the nine months ended September 30, 2016. Mr. Farouk Yousuf Al Moayyed - Chairman of the Board stated that the company had achieved a net profit of BD 5,370,744 compared with last year's earning’s, which amounted to BD 7,108,907, down by BD 1,738,163 or 24.5 %. The main reason for the decrease relates to a fall in investment income where a one-off profit was realized last year on the disposal of an investment asset. Basic earnings per share amounted to 41.52 fils compared 55.1 fils last year. Total sales for the nine months ended 30th September 2016 were BD 21,524,861 compared to BD 20,960,522 last year an increase of BD 564,339 or 2.7%. Shareholders Equity is BD 47,524,324 compared to BD 48,845,961 last year. The reduction in equity is mainly due to a dividend payment during the year. 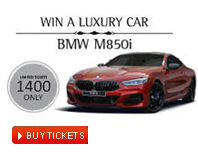 Mr.Abdulla Buhindi added, Profit from Investments recorded an amount of BD 1,404,332 compared to BD 2,777,878 last year, representing a decline of BD 1,373,546 or 49.4% due to profits earned last year on the sale of an investment property. The Investment portfolio increased by 13.8 % to BD 31,007,676. 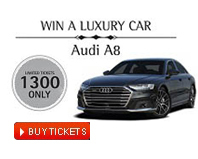 He went on to say that the company has started the planned upgrading of all shops in the departures area in line with company’s strategy to provide the customers with a better shopping experience at the Bahrain International Airport. 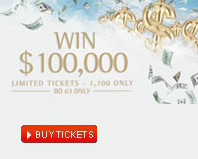 «Candy Cloud» the store which is a home to top toys and confectionery brands was opened in September. 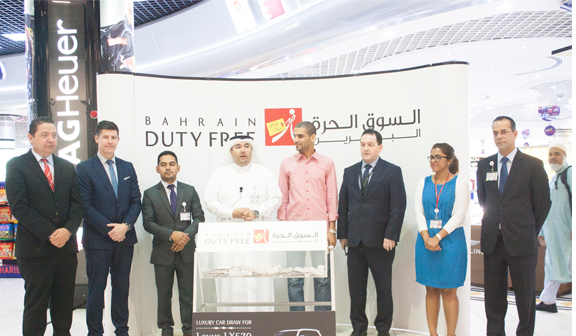 On September 6th, Bahrain Duty Free launched the award winning Candy Cloud concept at Bahrain International Airport. The store is approximately 60 square meters, and is located on the main passenger walkway of the departures retail area. The store is home to top toy and confectionery brands, and the range is aimed at the young, and young at heart alike. Speaking at the launch event, Bahrain Duty Free General Manager Bassam Alwardi outlined his excitement about the store and how the location has been totally transformed to offer an even better retail experience for our customers. “As this location is in a prime location within the terminal it was important for us to ensure that we created something fun and innovative, and we believe that with Candy Cloud we have succeeded”. He went on to outline how this store was a sign of the customer-centric approach adapted by the retailer; and how this opening is the first of many openings scheduled by the retailer for the remainder of 2016. 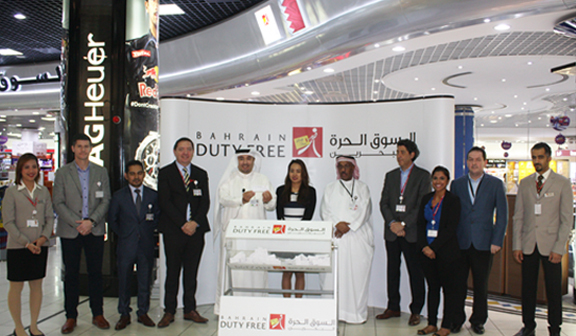 Bahrain Duty Free is currently refurbishing its 1,500 sqm departures outlet. 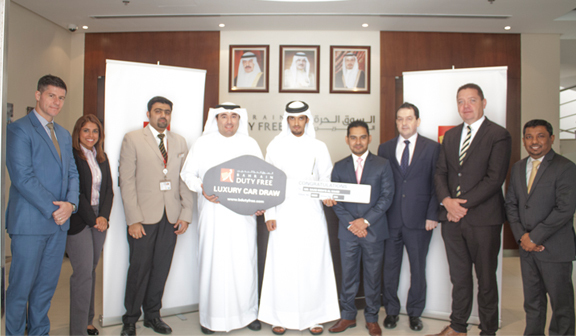 Pictured above (left to right) Mr. Shane O’Sullivan (Head of Purchasing), Ms. Jean Silveira (HR Manager), Mr. Mohamed Salman (Sales Assistant), Mr. Bassam Al Wardi (Deputy General Manager), Mr. Saad Al Kaabi (Winner), Mr. Sujat Ameen (Business Support Manager), Mr. Dominic Carroll (Head of Finance), r. Domnick O’Reilly (Head of Operations), Mr. Shibu Abraham (Head Of IT & Logistics). 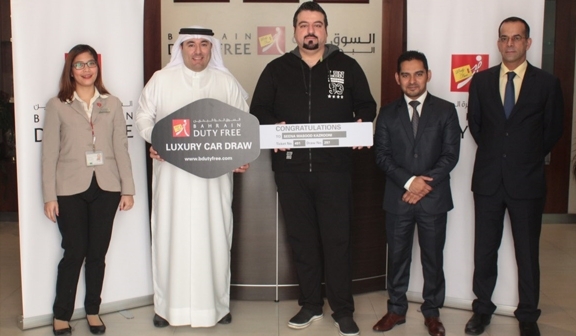 Pictured above (left to right) Mr. Hisham Al Saloom (Deputy Head of Operations), Mr. Shane O’Sullivan (Head of Purchasing), Mr. Sujat Ameen (Business Support Manager), Mr. Bassam Al Wardi (Deputy General Manager), Mr. Wassim Aloid (Passenger - who drew the winning ticket), Mr. Helal Al Saadoon ( BAC - Terminal Operations Manager), Mr. Shibu Abraham (Head Of IT & Logistics), Ms. Jean Silveira (HR Manager), Mr. Dominic Carroll (Head of Finance). 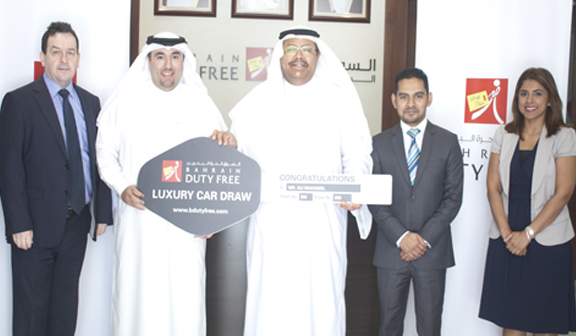 Pictured above (left to right) Mr. Dominic Carroll (Head of Finance), Mr. Bassam Al Wardi (Deputy General Manager), Mr. Ali Makamel (Winner), Mr. Sujat Ameen (Business Support Manager) & Ms. Jean Silveira (HR Manager). 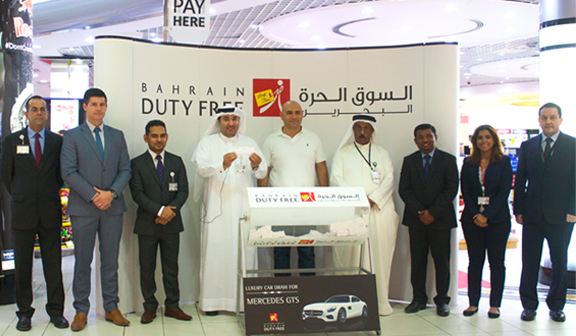 Pictured above (left to right) Mr. Domnick O’Reilly (Head of Operations), Mr. Shane O’Sullivan (Head of Purchasing), Mr. Sujat Ameen (Business Support Manager), Mr. Bassam Al Wardi (Deputy General Manager), Mr. Ali Bader (Passenger - who drew the winning ticket), Mr. Dominic Carroll (Head of Finance), Ms. Jean Silveira (HR Manager), Mr. Hisham Al Saloom (Deputy Head of Operations). 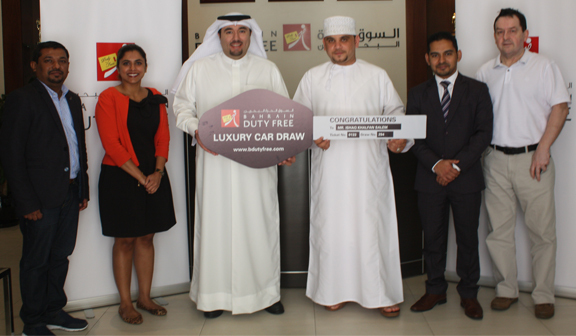 Pictured above (left to right) Mr. Shibu Abraham (Head Of IT & Logistics), Ms. Jean Silveira (HR Manager), Mr. Bassam Al Wardi (Deputy General Manager), Mr. Ishaq Khalfan Salem (Winner), Sujat Ameen (Business Support Manager), Mr. Dominic Carroll (Head of Finance). 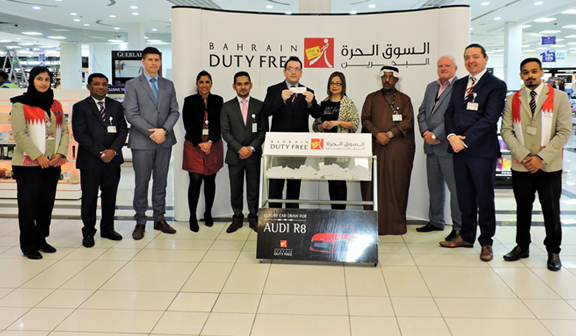 Pictured above (left to right) Ms. Julie Ann (Sales Assistant), Mr. Shane O’Sullivan (Head of Purchasing), Mr. Sujat Ameen (Business Support Manager), Mr. Domnick O’Reilly (Head of Operations), Mr. Bassam Al Wardi (Deputy General Manager), Ms. Pening Kom (Passenger - who drew the winning ticket), Mr. Helal Al Saadoon ( BAC - Terminal Operations Manager), Mr. Fadi Allam (General Manager), Ms. Jean Silveira (HR Manager), Mr. Dominic Carroll (Head of Finance) & Mr. Hassan Ramadhan (Sales Assistant).